Night 01: At night departure Dhaka for Sylhet by AC Bus .Over night journey. Day 01: Morning arrival Sylhet bus counter, after breakfast transfer to Tamabil / Dawki border, start for Shillong, arrival Shillong at 01.30 PM, transfer to hotel, after lunch free for personal activities, overnight stay at hotel in Shillong. 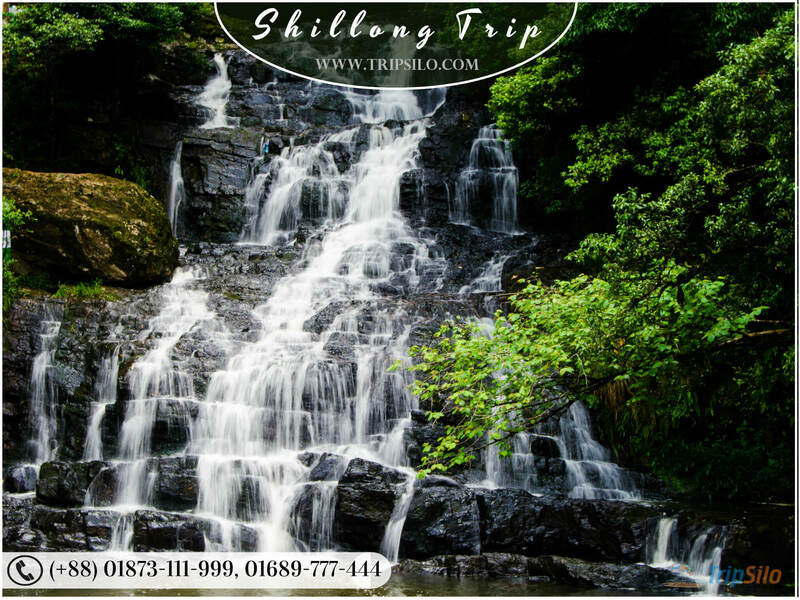 Day 02: After breakfast at 8.30 AM start for sight seeing at Shillong [Shilong Pick, Air force Museum, Elephant falls, Omium Lake, Catholic Church, Lady Haidari Park & Zoo, Golf Course and Wards Lake], evening Personal activities, Night stay at hotel in Shillong. Day 03: After Breakfast at 8.45 AM Start for Cherrapunjee sight seeing [Korban Bridge (View Point), R.K. Mission, Nohkali Kai Falls, Eco Park, Seven sister Falls and Mawsmai Cave],Lunch at 1.00 PM, then start for Sylhet, arrival Sylhet at 6.00 PM, start for Dhaka from Sylhet by AC Bus, over night Journey. Day 04: Arrival Dhaka at 5.30 AM. Shillong : Shilong Pick, Air force Museum, Elephant falls, Omium Lake, Catholic Church, Lady Haidari Park & Zoo, Golf Course and Wards Lake. Cherrapunjee : Korban Bridge (View Point), R.K. Mission, Nohkali Kai Falls, Eco Park, Seven sister Falls and Mawsmai Cave. (2)All Transport & Transfer [Reserve Jeep]. (3)Two Star Hotel [Twin share]. (4)Every day Breakfast in Hotel. (5)2 days Sightseeing in Shillong [Reserve Jeep]. 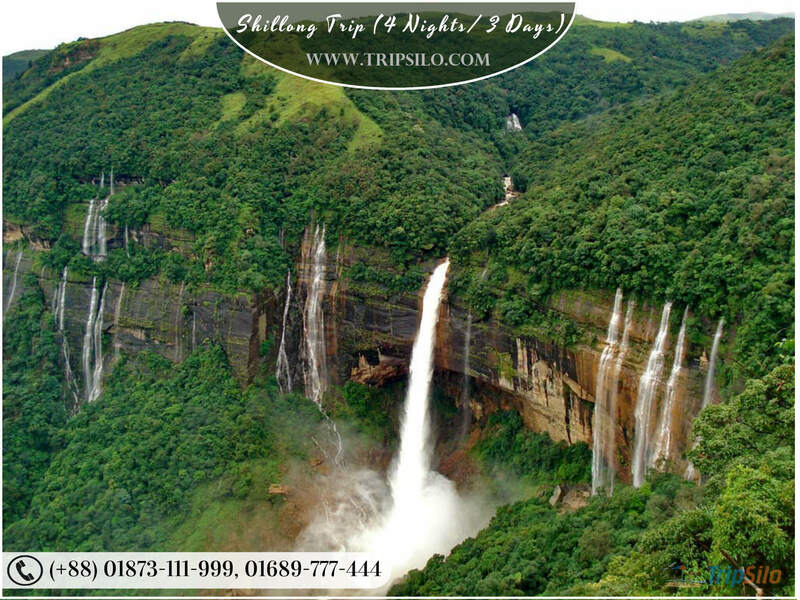 TripSilo is happy to arrange any customization of increase day or hotel category for this Trip package or your own Shillong Trip plan. Please mail us at: info@tripsilo.com with details of your interest or just call (+88) 01873 111 999,01689 777 444.